The Inventory includes information about what is “stock” now and what is estimated to arise over the next 100 years…this is no mean feat and has involved bringing together information for over 1,300 different waste streams and nearly 100 materials streams! This work has been led by the Department for Business, Energy and Industrial Strategy (BEIS) and the Nuclear Decommissioning Authority (NDA). What is the inventory? Why do we have it? The Inventory is essentially a huge data set with information about all the radioactive waste and materials that we have in the UK and that we estimate will arise in future. In addition to nuclear power stations, many important medical, industrial, research and defence activities produce radioactive waste. We need the Inventory to understand how much waste there is and where it is located. We also need to understand what the waste is made from, including its physical, chemical and radiological characteristics. We can then use this information to plan safe and efficient ways to manage the waste and materials. More than 90% of all radioactive waste to be produced in the UK will be Low Level Waste or Very Low Level Waste. This includes waste in stock and estimated to arise over the next ~100 years. Most of this waste will be produced during the dismantling of existing nuclear facilities and cleaning up of nuclear sites. 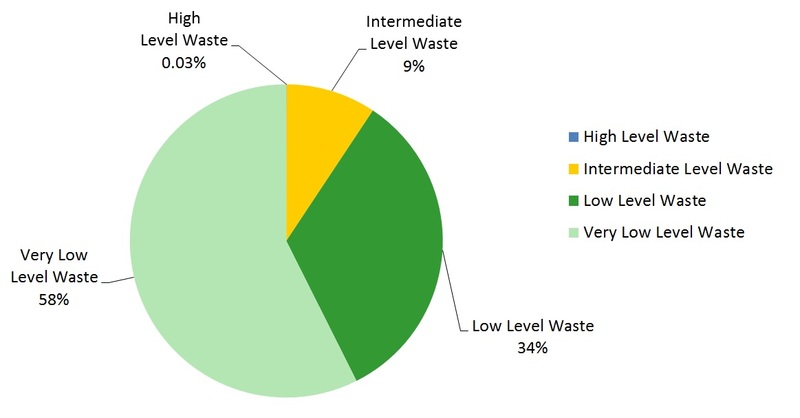 Less than 10% of all radioactive waste to be produced in the UK will be Intermediate Level Waste and less than 0.03% will be High Level Waste. Overall, the figures in the 2016 UK Inventory are broadly similar to those in the 2013 update, but there have been some changes in estimates at a site level. The amount of radioactive waste produced in the UK is very small compared to all other forms of waste. The total mass of radioactive waste in stock and estimated to be produced over the next 100 year period will be ~4.9 million tonnes. This sounds like a lot, but the UK currently produces about 200 million tonnes of waste from households and other industries every single year. When packaged, the total amount of radioactive waste produced in the UK (including waste in stock and estimated to arise over the next ~100 years) would fill a volume roughly the size of Wembley stadium. Very Low Level Waste accounts for much of the total radioactive waste by volume, but only a small fraction of the total radioactivity. Only a small amount of High Level Waste will be produced over the next ~100 years, but this will account for most of the radioactivity. Why does the data change? Where can I find out more? So, how accurate is the data? Where there are uncertainties, sites use the best available information to make reasonable estimates. They may use data from waste samples, surveys and historical evidence to support their assumptions. The final figures are reviewed internally by the site. They are checked again by the contractor who compiles all of the UK Inventory data on behalf of BEIS and the NDA. This helps to make sure that the assumptions used are as realistic as possible. How is the UK improving data on radioactive waste and materials? All waste producers are responsible for managing their own inventory improvement plans. As part of the UK Inventory process, BEIS and the NDA provide guidance to sites on specific areas where data quality could be improved. 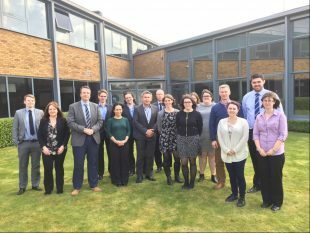 The National Inventory Forum brings together all of the people involved in managing information in the UK inventory. The group aims to share best practice. It looks for opportunities to improve the way we collect, use and communicate information about radioactive waste and materials. Improvement work is ongoing and will continue as strategies and plans for managing radioactive wastes and materials evolve in future. We’re always looking for new ideas and would welcome any feedback you might have on the new reports and updated website. Seriously, you're comparing radwaste to household waste in mass? Isnt it about the environmental dammage and the cost to the consumer and future generations to come that should be looked at to be able to say anything meaningful? Hello Citizen. Thanks for your interest in our latest blog post. 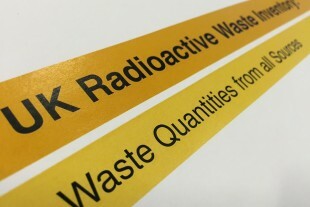 The UK Radioactive Waste Inventory provides information about the types and amounts of radioactive waste in stock and estimated to arise in future. It can be difficult to imagine the volumes that are reported, so we've tried to put them into context for readers. We absolutely agree that protecting people and the environment, and seeking value for the taxpayer are essential. These values are core to the NDA's mission and drive everything that we do. Maybe 10% of the HLW radioactivity [320,000 TBq] might be accounted for in the 140 tonne plutonium stockpile, which is costing about £80 million per year in storage and security costs. There is a GE Hitachi PRISM reactor on offer at Sellafield, for the disposition of this plutonium, at about £4 billion. It is capable of rendering the plutonium useless as a bomb making material and from the fuel produced it will chug away for 60 years delivering as much low-carbon electricity as over 30% of the >14 GW [7,000+ turbines] UK wind farm fleet. The minuscule waste stream from this Integral Fast Reactor [IFR] derivative decays to background radiation levels of the ground beneath our feet in only 300 years; easily, cheaply and safely stored. IFRs can use HLW as fuel and we have enough of that to supply ALL of the UK's energy needs for 500 years - or at least until fusion takes over. The HLW 'problem' would disappear and we would have unparalleled, low-carbon energy security for many future generations of our families, without the need to rely on interconnectors to here, there and everywhere. Wouldn't you think there'd be enough far-sighted politicians in the massed ranks of two Houses of Parliament to at least spark a debate about some R & D investment in IFRs to get the UK back to the cutting edge of nuclear power technology? Instead those with any kind of a voice in the energy debate seem to be bending over backwards to push for more and more outlandish and pathetic 'renewables' technologies. Hello Colin. Thank you for your interest in our blog post. Part of the NDA’s role is to explore different options for managing spent fuel and nuclear materials in a safe, secure and cost-effective way. You can read more about this in the NDA’s Strategy (effective from 1 April 2016), which is available on our website. In the 2050 forecast for HLW of 1150cuM, does that include any projected HLW arising from "New Build"? And, if so what is that projected volume? Dear Colin. Thank you for your comment on our blog post. The UK Radioactive Waste Inventory does not include estimates of waste and spent fuel from the development of new nuclear power stations in the UK. The MOLTEX Safe MSR project appears to offer some long-ago developed technology in a radical new arrangement. Essentially, the very low viscosity and other advantages of molten chloride salts are proposed to deliver an over-pressure free, fail-safe reactor which works at a temperature most suited to large scale storage of heat, i.e. for peak clipping. The MOLTEX ENERGY site is worth a close scrutiny and this might stimulate some productive discussion. Dear John. Thank you for your interest in our blog post. The UK Radioactive Waste Inventory does not include estimates of waste and spent fuel from the future development of new nuclear power stations in the UK.